We specialize in custom remodeling of luxury homes. We also provide home additions along with custom home building from the ground up. Both owners are current Real Estate agents in SW Washington and Portland Metro area. We have a fine eye for finish work and exceptional customer service from our first interaction to handing the keys back over to the homeowner. Kemp's Windows Inc. is a family-owned company that has been helping homeowners in Washington and Oregon since 1979. The services are a great fit for homeowners looking to improve the appearance and function of the property. A full range of home improvement services are available: replacement windows, storm windows, siding, entry doors, and more. Most major brands are offered in the showroom, giving customers the opportunity to choose the best solutions for their homes. A variety of window services are available, including window replacement, window installation, vinyl windows, fiberglass windows, wood windows, energy-efficient windows, storm windows, and more. Customers can work with the design team to create custom windows using the best materials and products in the industry. In addition to the windows services, Kemp’s Windows Inc. also provides other renovations that help with curb appeal: entry doors, patio doors, sliding doors, French doors, door replacement, door installation, storm doors, siding replacement, vinyl siding, fiber cement siding, cedar siding, siding installation, and more. Homeowners can expect a high level of customer service every time they talk to the design and installation teams. The friendly staff is available in the showroom to answer questions and demonstrate the window and doors options that can be used for remodeling as well as weatherization projects. 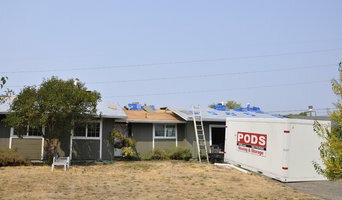 The team at Kemp's Windows Inc. is licensed, bonded, and insured in Oregon and Washington. 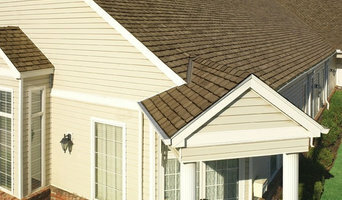 All installers are AAMA certified and provide the best installation techniques in the area. The company has a BBB A+ rating that shows high-quality standards that are maintained for every project. The best and highest rated brands are on display in the showroom, including Milgard, James Hardie, Cascade Windows, Codel Entry Systems, VPI Quality Windows, and Therma Tru. These services are offered in all of the nearby cities: Portland, Beaverton, Vancouver, Lake Oswego, Gresham, Happy Valley, Gladstone, Oregon City, West Linn, Tigard, and the surrounding areas. 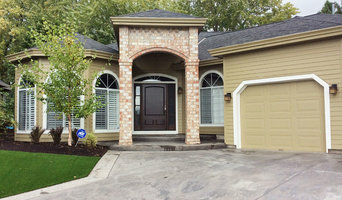 Kemp's Windows Inc. is working hard to maintain the reputation as the leading windows and doors contractor in the area. Visit the convenient showroom to view the products that are available: 16107 SE McLoughlin Blvd Portland, OR 97267. Or, call to schedule a complimentary consultation at home: (503) 659-7587. We are a veteran owned company. Our work speaks for itself. Quality is our goal. Attention to detail is second to none. Repeat clients and reputation is worth its weight in gold. We are a small business based in Kelso. We handle everything with commercial and residential properties from building to maintaining. We offer complete residential construction solutions at an affordable rate. We are dedicated to providing superior service, but more importantly, creating a friendly and family oriented type of environment. A lot of contractors have mad reputations, and it is important for us not to be one of those companies. We work tirelessly to do superior work while not gouging our customers. Elements Construction & Remodeling Inc. Elements Construction & Remodeling brings 25+ years experience in the Construction Industry. From Dry Rot Repairs to Custom Build Projects, Decks, Fences, Pergola, Remodeling. If you have a vision, we can make it happen. 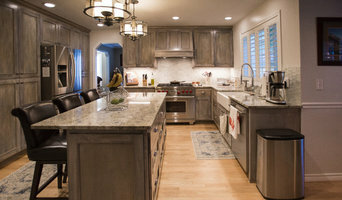 Cardinal Construction is a small family owned remodeling company focusing on quality over quantity. We take pride in our work and have a passion for what we do!